Anita Hallewas of Flying Arrow Productions looks to foster inclusion with new Community Theatre Project. Oct. 18, 2016 5:00 a.m.
Anita Hallewas is the creative director of Flying Arrow Productions. Anita Hallewas was shocked when she saw an online poll that said 51 per cent of respondents didn’t want a refugee family to settle in Revelstoke. While the polls was not-scientific, Hallewas decided to use her theatre background to encourage social change. Hallewas and her family immigrated to Revelstoke from Australia, encouraged by how welcoming the community is. With a background in theatre, she started Flying Arrow Productions, mainly leading youth productions. Now, she is offering a series of workshops throughout October and November in order to create a piece of community theatre after the world was confronted with the horror of the Syrian refugee situation and western societies’ growing apathy to the situation. 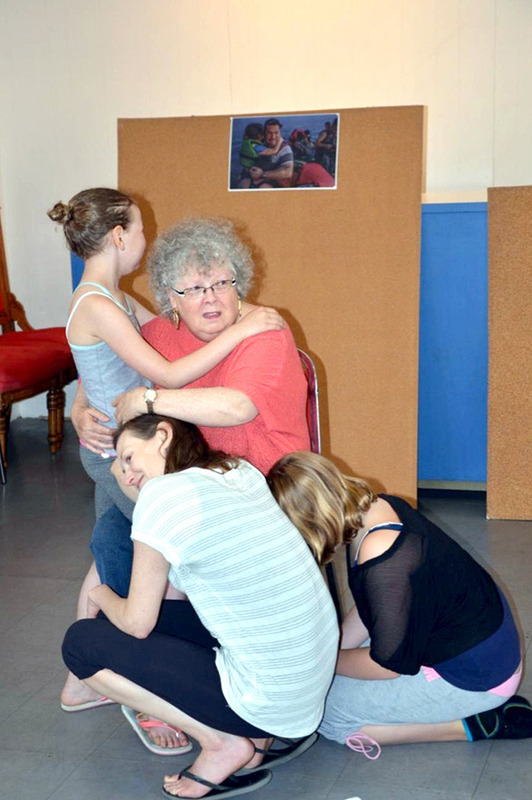 Her goal is to foster inclusion and welcoming for others through theatre. Community theatre differs from a regular production piece in a couple critical ways. There is no pre-made script or cast requirements. It is instead created over the course of several weeks through information and stories gleaned from workshops. Community theatre is inclusive to anyone who wants to be involved in a diversity of roles both on and off stage. Experience is not required. The response to the workshops so far has been positive. “We have seen people come to hear more about the project and everyone I speak to about the project wants to share a story or anecdote about their thoughts on the topic,” says Hallewas. It is of note that actors, while welcome to the workshops, are not the only ones invited. “We need writers, producers, musicians, artists, story-tellers, audience and everything in between,” Hallewas confirms. From costume design to those documenting stories, Flying Arrow is committed to having a role for everyone who wants to partake. With themes fictionalized in the workshops, participants will be exploring the refugee crisis, immigration, resettlement and welcoming of new community members. An example of this is the upcoming children’s workshop on October 21 for ages three to seven, called The Giant Who Threw Tantrums, intended to build empathy through exploring exclusion and inclusion of those who are different from themselves. The workshops will culminate in a piece of theatre influenced and inspired by those who participate in the workshops. The show will be presented at the Revelstoke Railway Museum in February during Heritage Week. “We hope to have a large cast of Revelstokians in the show, to demonstrate a diverse range of ages and ethnicities,” says Hallewas. More information about the project and a schedule of upcoming workshops can be found at www.flyingarrowproductions.ca. The next workshops are on Monday, Oct. 24 at the Knights of Pythias Hall on Third Street West. A youth workshop is at 3:30 p.m. And the community workshop is at 7 p.m.